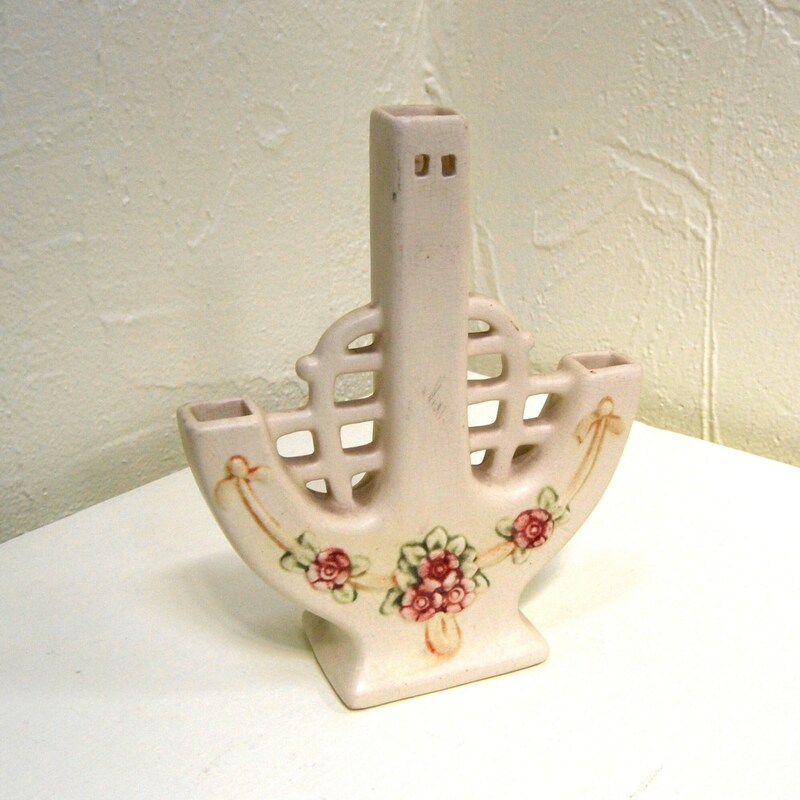 For your consideration is this antique bud vase made by Weller circa 1915. 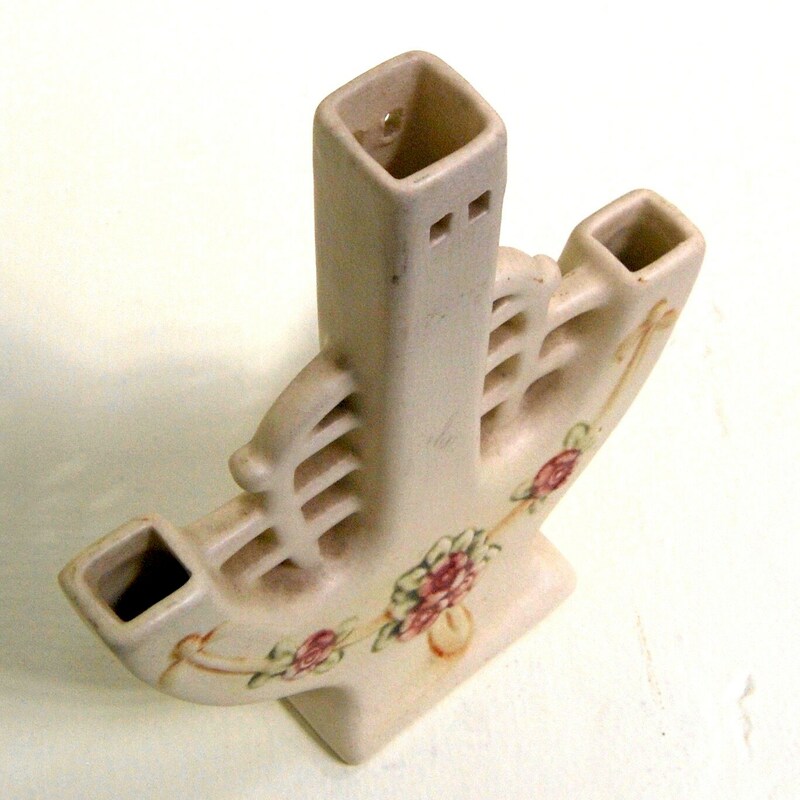 Weller Pottery was well known for their Arts and Crafts Movement designs. 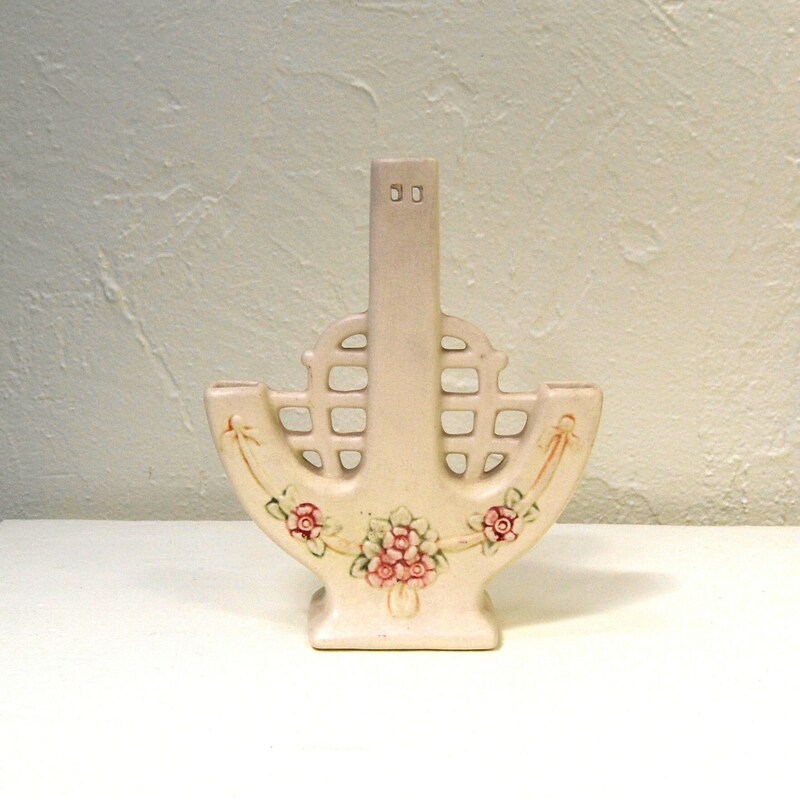 This vase features an Arts and Crafts Movement design with a garland of roses. 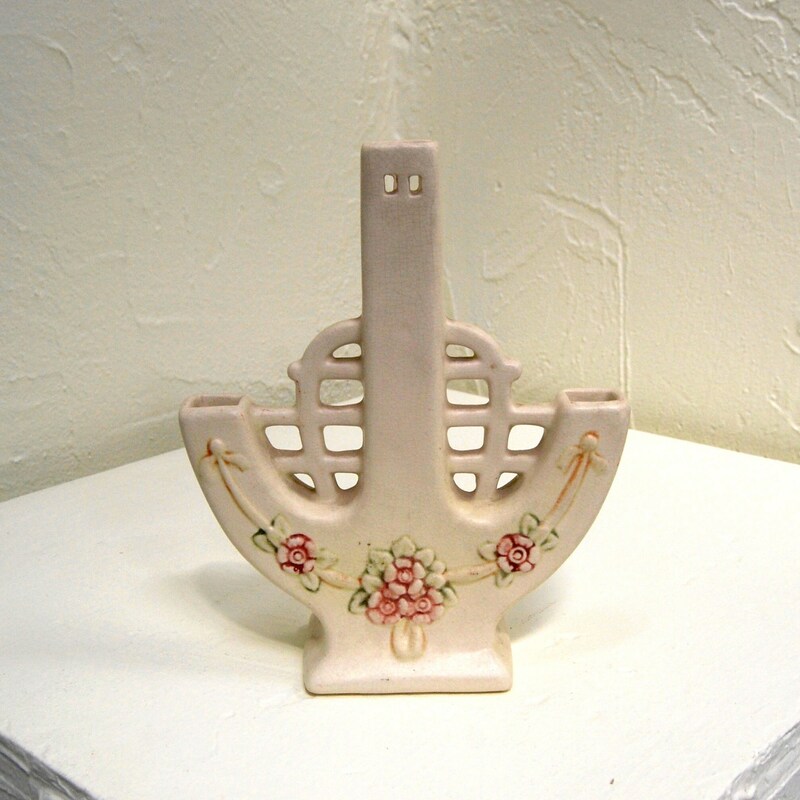 It has three openings for flowers to create a unique display. 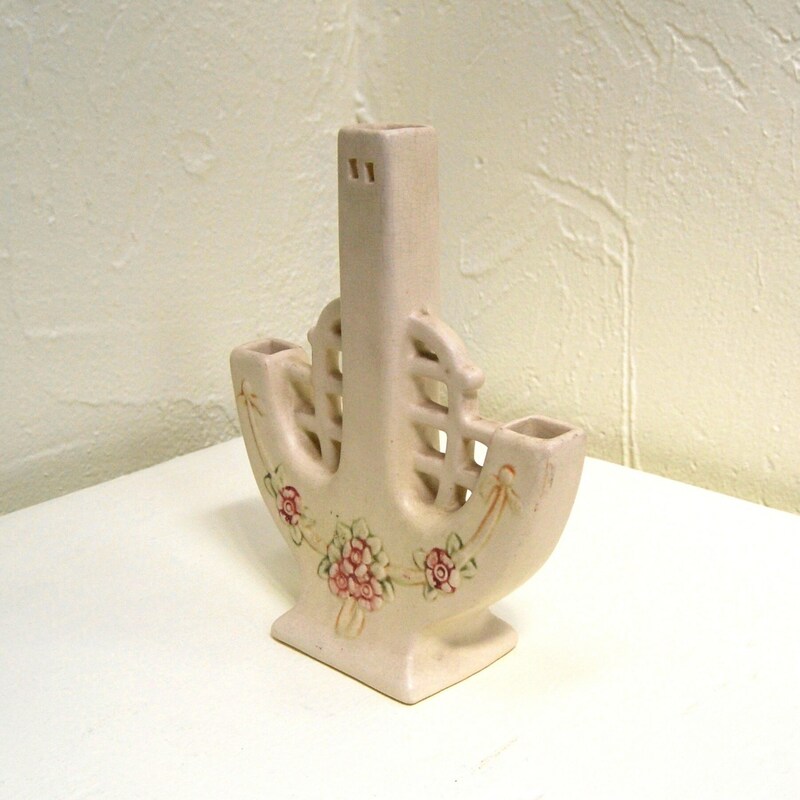 It measures 7.5 inches tall, 8 inches wide, 6.25 inches wide and 2.25 inches deep at the base. 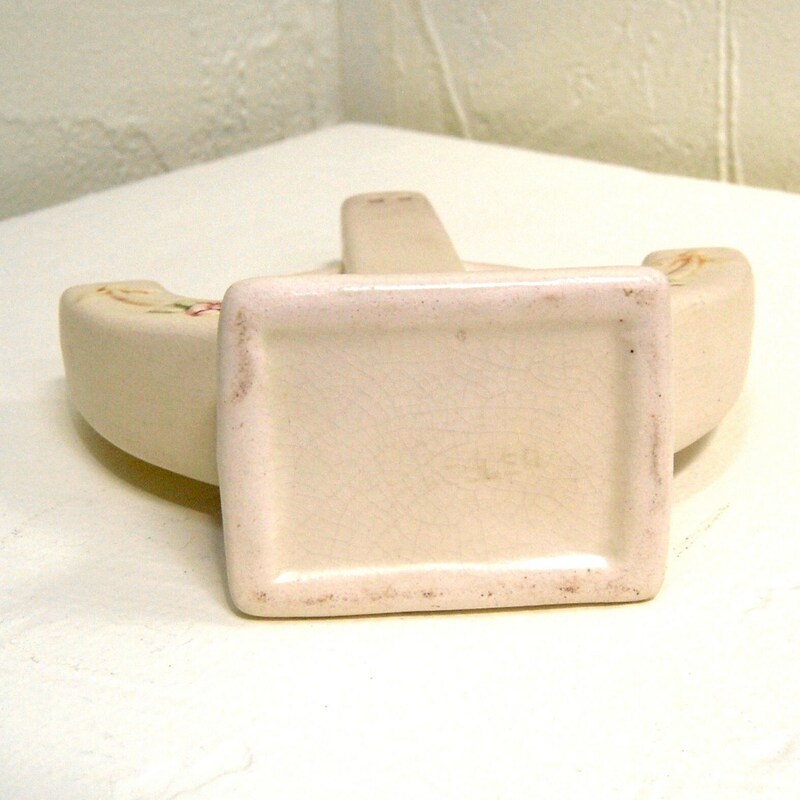 It is stamped "Weller" on the base.